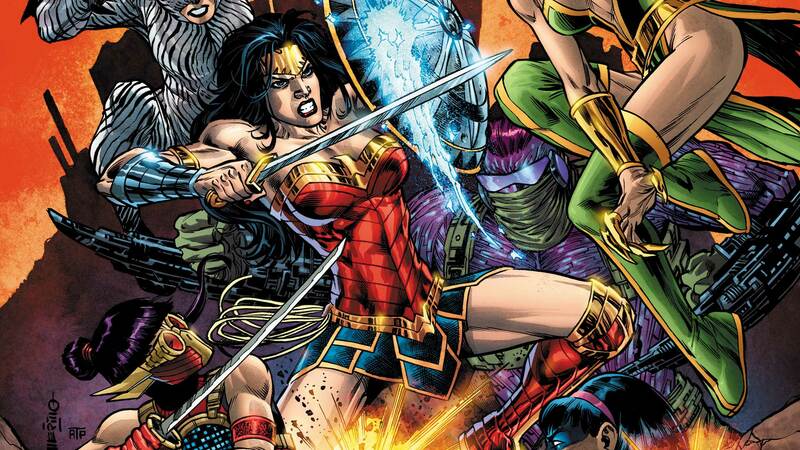 First Look: Wonder Woman Takes Down Cheshire, Plastique and More! Poison and plastic explosives do not a winning combination make, at least if this week’s WONDER WOMAN #29 is any indication. Read on for an exclusive first look! When dealing with Wonder Woman, facing the truth hurts. And no, we’re not talking about her lasso. (Though, I suppose if we’re being literal, that would definitely hurt as well.) Instead, we’re talking about the painful reality check experienced by any super-powered adversary who finds him or herself roundly beaten by the Amazon warrior. Take this week’s WONDER WOMAN #29 for example. You’d have to think a gang of bounty hunters that included the poison-tipped Cheshire, the explosive Plastique, the goddess-incarnate (or so she claims) Cat Eye and more would be more than equipped to bring down Diana of Themyscira and capture the sizable bounty that’s been placed on her. You could think that…but the truth would soon be revealed to you. And again, we’re not talking about the lasso. (Even though technically she could use it on you and that would also reveal the truth… Agh, okay! The lasso can do a lot, but we’re not talking about it here!) Rather, we’re referring to the way Diana easily takes them each down, using their own abilities against them. It’s truly something to behold, which is why we’re giving you a sneak peek at this exciting battle in this exclusive first look. Enjoy! WONDER WOMAN #29 by Shea Fontana, Inaki Miranda and Romulo Fajardo, Jr. is in stores this Wednesday.